The Hausmann Industries Ambulation and Mobility Platform is a medical device designed to meet the patient's need during physical training and exercise. It is an optimal choice for hospitals, physical therapy centers, and rehab facilities. Robust Construction. Coated with heavy gauge black powder, the Ambulation and Mobility Platform's uprights and fittings are made of steel and have a 30" clearance between each upright. With ergonomic control knobs on each upright, its width can be adjusted from 15" to 18" and, because of the New Secure Lock System, provides optimal stability on each sturdy upright. The included handrails are 1 ½” in diameter and are made with one-piece stainless steel. These are mounted onto satin-finish hardwood platform with tapered hardwood ends for hassle-free wheelchair access and, on each end, two "anti-slip" treads. Safe and Durable. 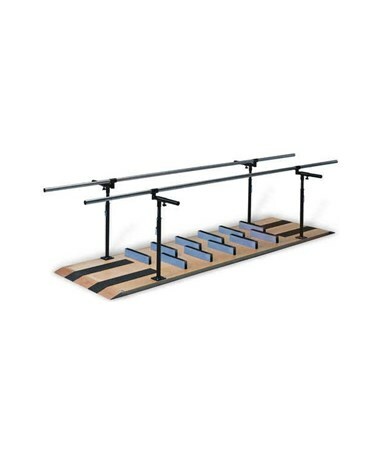 Featuring a fail-safe ball-tip locking pin, these Parallel Bars have each upright telescope up in 1 ½” increments and can be locked into ten height positions. 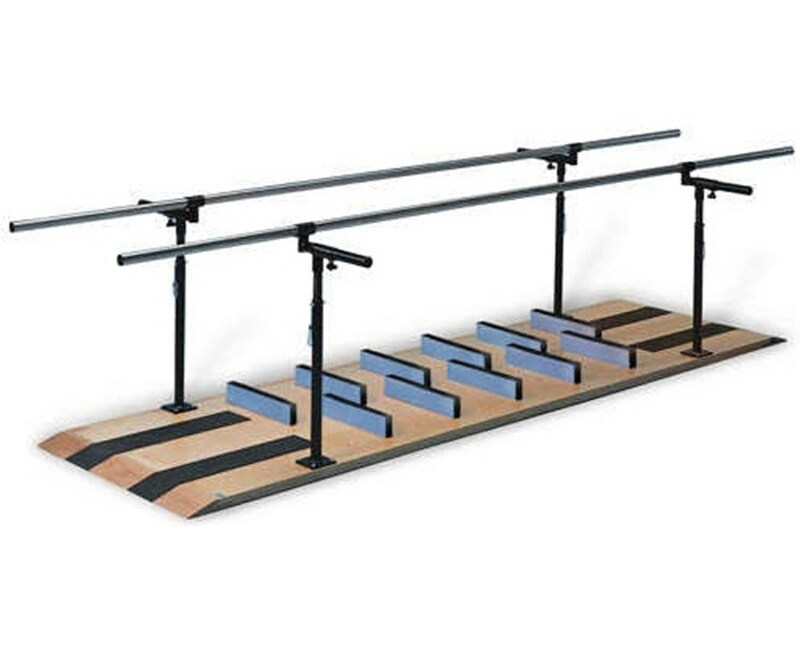 The placement ladder consists of eleven variably placed ladder steps with a 6' 5" L x 6" W x 3" H balance beam with non-slip treads. It has dowel pins that fit into pre-drilled holes on platform surface. The Hausmann Industries Ambulation and Mobility Platform come in a size of 10' L x 15" - 28" W x 29" - 42" H and a weight capacity of 400 lbs.